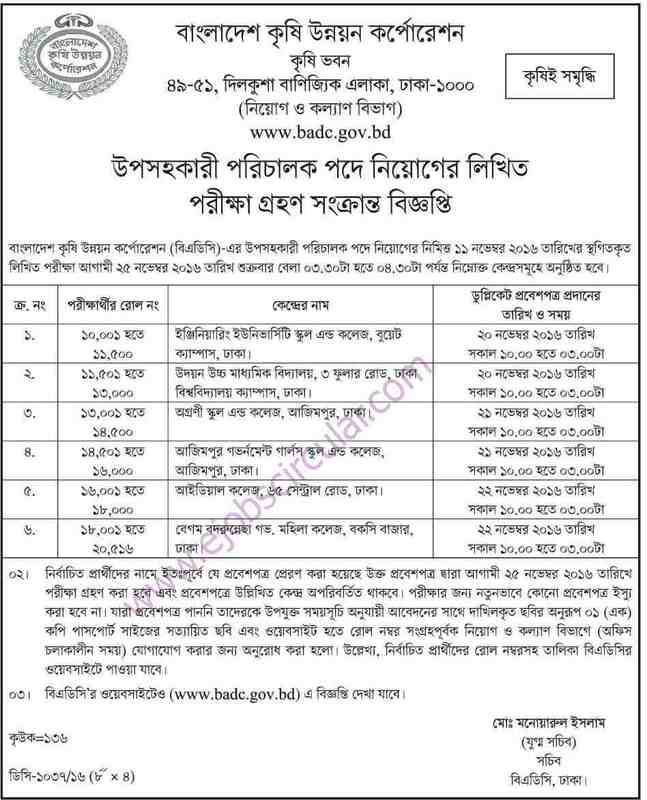 Deputy Assistant Director written Exam date Published at www.badc.gov.bd. Download badc gov bd written exam Schedule from www.ejobscircular.com . BADC Written Exam will be start on 25 November 2016. BADC Exam center, Roll No and Admit card information are written below. Download badc gov bd Written Exam Schedule as a pdf file or Image File. You can also check candidate List at badc.gov.bd. For More Updates about badc govt job result, Notice etc Bookmark this website. Thanks for Stay with us.